There are landfills that are reserved for asbestos removal and disposal. Last month an investigation was done in a city of New York because a company illegally dumped toxic waste. The EPA did an investigation and as a result, asbestos has been confirmed in the debris. In 1976, the EPA started regulating hazardous waste and began to require that toxic waste be handled with special precautions and disposed in designated areas. 1. Preparation: The preparation of removal that contains materials should comply with proper guidelines for the safety of workers and the environment. 2. Process of Removal: Asbestos containing material need to be placed in proper bags and be sealed and labeled. 3. Disposal: Asbestos bins can be required for disposal. 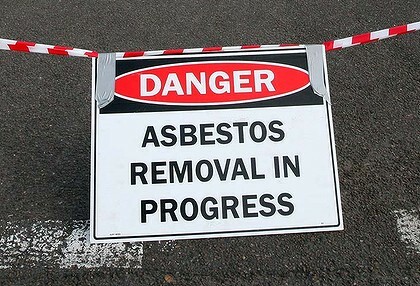 It is illegal to dump the material that may have asbestos in a public garbage bin. Arrange transport by a registered waste carrier and taken to a lawful waste facility. It is important to seek professional assistance if there is asbestos in your environment. Alliance Environmental is a licensed asbestos removal company with extensive experience in properly containing the asbestos, complete decontamination of the site, and lawful disposal of the contaminated materials.